Police and social workers were called to the home of 2-year-old Damien Ventura multiple times this year before the toddler died in July under suspicious circumstances, new documents show. The death is under investigation because of those circumstances and the coroner's office is not saying if the death was accidental or not. Damien died in July 3, just days before his 3rd birthday. His mother's boyfriend says he took the boy to the hospital after he fell in the tub at the grandparents' home in Westchester. 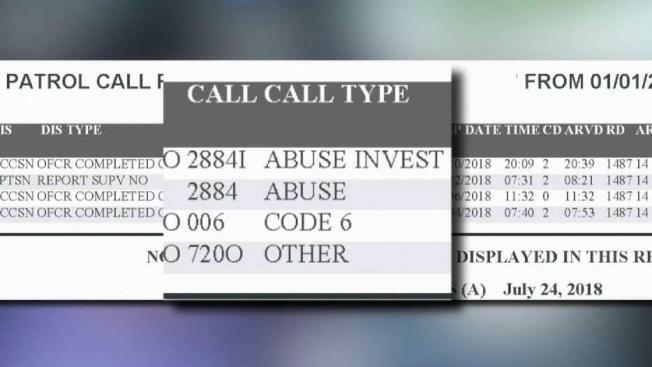 Two calls for alleged abuse came days apart in January, according to documents obtained by the NBC4 I-Team through the California Public Records Act. The Los Angeles County Department of Children and Family services determined, "no safety threats were identified at this time" in an assessment days after the initial call. There were no other kids in the home. "It's very difficult for me at this time because he was my world, he was everything," said the maternal grandmother, who did not want to be identified. The grandmother said that in the incident in January the boyfriend was accused of hitting the boy. She says she never saw him hit Damien. "She denied it and said baby was lying," said the grandmother about the boy's mother. Another a safety assessment in March indicates allegations of "physical or emotional abuse" and says a caregiver in the home had past drug use during the past 12 months that "interferes with the family functioning," according to the DCFS documents. The final risk level deemed "moderate" at that time. Police records show officers visited the home in March as well. DCFS is working with law enforcement on this case. The grandmother says her daughter no longer lives with her. Attempts to reach Damien's mother and the mother's boyfriend have been unsuccessful. No arrests have been made in connection to Damien's death.